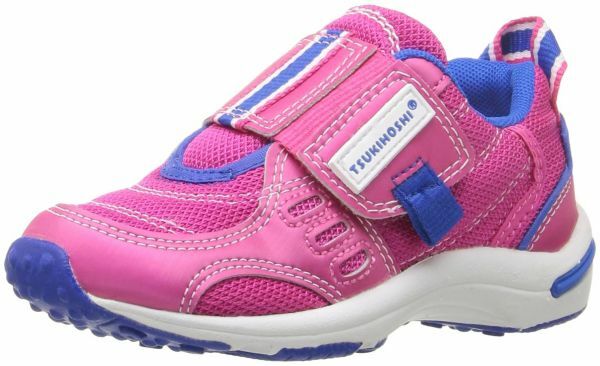 These shoes are commonly compared to American versions of the same type of durable, expensive, childrens shoes that help with overpronation. I bought these because I read good reviews on them and how they were just as good as competitors that I've purchased for years now, (Stride Rite). These were great for pronation. My daughters love them, (I ordered two pairs here on Amazon) and they were nice looking and very functional, however, we've owned them for only 5 months, and my oldest's have already got holes in the top tip of the shoe. The fabric is falling apart, and my children don't play sports in these shoes, they are just daily tennis, and they alternate with boots and dress shoes. I was disappointed with the durability and quality, as these fall apart quickly and for the price I was dissatisfied. I overpaid for a shoe that couldn't hold up. Stride Rites are going to be our future go-to I guess since they are more durable. Our daughter was recently transitioned from Sure Steps to a brace shoe insert. We could not find a shoe. This shoe is great. It is easy for her to open and put on her own foot. It fits the brace easily. It is washable! It is holding up so well. The brand runs large. Give yourself time to find the right size. I suggest ordering with the free returns so you can work on the size. The brand runs large, even though we always size up for braces and inserts. Shoes are nicely done and look great; however, they fit at least one size bigger in comparison to other brands (e.g. ; naturino, Nike, Geox, stride rite). I just ordered them in a smaller size hopefully they fit better! My 4 year old loves this brand of show. Another winner! Cute & durable. My daughter says those sneakers are super beautiful and comfortable.